Members of the Joint Opposition are currently busy weeding through thousands of emails and postal mails, trying to select and finalize a few appropriate names for the new party which will be formed under the leadership of former President Mahinda Rajapaksa. The party was originally scheduled to be formed this month; however no timeline has been confirmed yet, as the Joint Opposition is still finalizing policies, a new constitution, among other matters in relation to the registration of the new party. It is reported that the Joint Opposition has received over 4500 name suggestions via email, apart from another several thousand names suggestions sent via post. The group is reported to have received over 7000 suggestions sent in by various parties, including members of the public through postal mail alone. A special committee has been appointed to go through the emails and postal mails and shortlist several names for the party. As every 3 rd grad pupil would see it – all these steps of selfish politicians in SLFP will surely affect on rapidly rising UNP strenghs, in the same time, rapid falls the SLFP – should be focused by these men rather than just giving the place for their naivities. Basil who is seen to be the master mind of buidling break away party will have to face all the high charges sooner than later – for all the high sums being abuses by former state treasary. Those who had then been offered silredi, sewing machines or others abusing tax payers funds are not the masses, but the very same masses voted for Rajaaskehs had never been treated well in the high days of Rajapakshe tyrany. Today we perfectly know there are significant fractons in remote areas still live under poverty even not having cheapest food item of the man – which is drinking water – all these reveal these day by the programmes being carried out by some TV companies. However, media men that only polished the Rajaakshe family politics never brought the kind of grivances to light in last few years. I wondered myslf hearing us to be called a MID INCOME EARNING natrion even if I was compelled to observe all high poverty striken incidents each time travelled to the country. Honestly, a small group of people that licked the balls or Rajaakshe family let become billionaires not allowing tax payers funds to be managed properly so that the poor who are really in need be uplifted fairly. Even if a large sums circulated in the country, but unbelievable sums of the funds had been abused, the poor and their lives became even poorer. They are now on a struggle being unable to bear the life with increasing prices of the daily essentials. Congratulations, you are finally forming a New Party. Congratulations again. Amarasiri wanted you to form the New Party Before the General election, but you wanted to stick to SLFP. 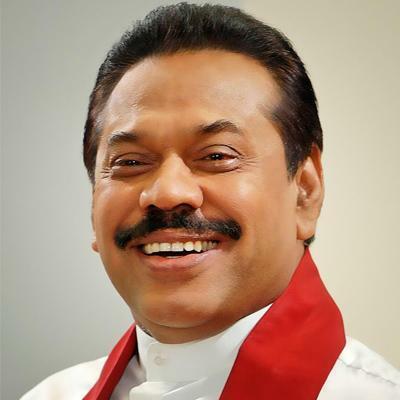 However, as suggested earlier, you should call the new Party Citizen Rajapaksa Medamulana Party, CRAP, and ask all your Rajapaksa extended relatives who profited handsomely during your regime, and the cronies who profited handsomely during the regime to join you. They have nowhere to go.. Fill in the gaps with idiots and modayas bike Biruwansa and the many others, and of course you should be able to recruit sufficient number of citizen’s with IQ’s well below 79. Congratulations. Better late than never. SWRD Bandaranaika did it. Why not the Rajapaksas? However, as suggested earlier, you should call the new Party Crooks of Rajapaksa Medamulana Party, CRAP, and ask all your Rajapaksa extended relatives who profited handsomely during your regime, and the cronies who profited handsomely during the regime to join you. Where is the evidence of so called stealing? No evidence stupid morons like Mangala claimed $18 Billion was stolen, while all the projects started during the previous government was less than $16 Billion (people Mangala has failed O/L mathematics & cannot quantify a billion dollars). these are common with the men of the kind of Rajaakshes. They had no international contacts how can they be as civilized ones. In their terms Rajaakshes prove their all crminal energies. And now too, have been continuing abusing the vulnerable of this country. Lately I happened to hear MR was saying how his father had been that supportive to SWRD in building the party. That the folks and lanken press not mentioning his father seems to have been humiliating him. THis kind of infeerior complex was the reason Rajaakshe to turn out to be a monster of the day. He has no bounderies when attacking his rivals be them sinhala, tamil, muslims or even former politicians, man could take revenge on anyone. Today they have become the frequent men and women that visit the CID and related offces. Now with the latest has been the properties truly believed to be part of Basil Rajapakshe not to have any kind of owners grows the curiourisity of the people, how many times they can add their prevarications foolin the nation future. Very people to be abused this way, will find its limitations. People are no that fools appeared to be. My wish all the foreign and local autohriteis be joined to put these men finally in Jails. That is the only wayout if we are to march forward. I simply beleive, that civil society groups shold have to do the job more than have been in order to turn this society to good. Speeches like those of Prof. Sarath Wijesooriya, can be very instrumental. Else, people would stay hallozinated but not knowing the checks and balances and but facts of the previous regime. War victory was a good thing, but just that to abuse as their licences to loot the nation should have bee avoided, but even today, Basil and Namal and everyone of them being alleged be it minor or major fund abuse seem to have no proper explanation, but they call it political revenge on them. Danna miniha dannawa, those who are well aware have sense to feel that Rajakashes only looted but the masses are still far away from teh realities. Media menwork with Rajakashes even today. They dont even approach them for prima facies evidences related to any allegations. Abarasani apita if we would not give the priority to pass the ground realities to the masses even more than have been to this date. Sri Lanka party for the destruction of the country by looting and thuggery. SLMPP. SRI LANKA MURDERERS AND PLUNDERERS PARTY. SRI LANKA MINI MARU SAHA KOLLA KARANGE PAKSHAYA. This matches most. MR has fallen to the level of Wimal aka thunmullle wimale by today. Everyone would be happy that they are going away and forming a minor party, thereby performing political cleansing of the SLFP and the UNP led government. Don’t vote for them, if you dont support them. How about “ACHCHAARU” Party! Symbol: Dry GORAKA. Bitter and sour not being able to steal government assets. What a shame. There are so many young leaders in parties like JVP,JHU, Liberal Party who can and are contributing more to taking the country can not come up and the oldies like MaRa GoRa, BaRa are hogging the path for young talented world savvy Sri Kankan leaders to emerge. Hope the younger generation will rise up and make the MaRa Broseley & Co to gracefully retire. This is a gimmick of threat to Ranil from the Old King side. We have written in this Website that Old Royal will not come with a new Party. That is a blasphemy for the Sinhala Buddhist Extremism. That is how this crowd claim their Royalty. You may know Dudley, whether he was a gentleman or not, he did not want to sit on the opposition leader’s chair. Holding the democratic constitutional position of “Opposition Leader” is an insult to the Royalty who owned the Land. Same way, the Old Royal who came from the Mother SLFP to protect mother Lankawe, will not go against those ladies. Theoretically that will destroy their sanctimony patriotism. But in reality they all are cowards and they never won the war without America’s Bush, Condoleezza Rice, Richard Armitage and Robert Blake. At the end, the Joint Comedy Communists may form a union. But communist comedies will never come under one label. Because each of their earning come from how much they each can twist and flex the Marx’s Engel’s Lenin’s, Trotsky’s, Mao’s, Anagarika Tharmapala’s Mahanama’s ……. talks. This does not exempt Buddha or Christ or Gandhi. If you read the Sinhala Buddhist Communist Intellectuals, they are the number ones in quoting from Dhamma, Quran, Bible, Geeta, Manu….So how many souls of Communist Comedies are out there in the land, that many communist divisions are there too. They thrive like that. They have no need to come under one hood. But, the threat of new party has to be well and alive to make Ranil put all his might to prevent war crime investigation coming. One day, one comedy may register a party’s name. But Old King will never ever the party’s leader. This is because he still fears of America even though the Alucosu he fears of (Secretary Kerry) is leaving in few months. So reading or writing about new party is a job nothing better than reading or talking about UFOs. Instead of that take a swatter and get into some serious job. I think the joint opposition is in the process of changing the name of the country. They want to change the name of the Country as “Mahinda Family Kingdom”. They want to have only one Party that is “Mahinda Family Party”. They want to create “Mahinda Rule” as law of the Nation. Get rid of all those related or came from India such as Buddhism, Hinduism, Islam. Get rid of Sinhalese, Tamils and Islamists. This “PARTY” will never come into BEING. Already the supposed to be “LEADER” has started to change the “TUNES”. Just read through his media briefings, first to “Tamil Journalists” and his “Assurance” to Muslims. The “Gang” of “FOUR” (Wimal, Dinesh, Vasu, Gammanpila) who started the campaign called “Nugegoda Man” must be reeling with disillusion and disbelief as to the utterances their “Leader” has made. No doubt, MR was “pushed” into and also decidedly made the choice of campaigning on to show “Peoples’ Strength”, as the investigations and court cases were piling up against his “Goons” and “Family”. But he now knows that strategy is not goin to work as desired, so much so, it is now safer to slowly tread on a different path, than to hang on to these destructive ultra nationalists’ path. The first STEP is now to change the TUNE and we are seeing it happening as shown in those “Media Briefings”. Then the next “Secretive” step has been taken by China, in bringing the “Ex” and “Present” Defense Secretaries together at a “Defense Conference” along with another unknown participation of a “Retired Army General” from Sri Lanka. Basil’s cases are going to “End” up in “Confiscation” of “Ownerless” properties. The case against Mrs. Shiranthie will not come up at all and so with her Brother-in-Law, Nr Nishantha Wickramasinghe. The cases against Namal & Yoshitha would be dragged for years and finish with no end as those would lack “200% proof”. Sajin Vas – the present “Deal Maker” has already set the ball rolling and his “skillful” work in that path is working in “supper” by roads and ways. In this “environment” will or can a “New Party” takes place? Desperate people do desperate things. This man and his family must miss the days of white vans, journalists being kidnapped or killed, and making billions of rupees (or dollars). Sri Lankans who are disappointed in the present regime, must ask themselves if having these jokers back is worth it. We should never elect this family into power again, they have cost this country too much, are in and out of jail, and have been accused far too many times of being corrupt and abusing powers. The sons are suspected of murder too, and that is in addition to various other crimes. We would be fools to vote for this crowd again. Sagara what bothers me is stupidfolks are always ready to dance to their tunes. Why ? Irresponsible utterances of utterly corrupt hitting new low. The biggest puzzle is why these self-centred and failed people are still given prominence in Sri Lankan politics. Our media should be held responsible for misleading the innocent people. And in my view, not the corrupt politicos but the so-called ‘group’ called themselves ‘learned’ and conveniently prefer to ignore this consensual politics, should take responsibility for permitting the politico-cheats to destroy the nation. Today, what is most important is to educate the citizenry of their sovereign rights; that they are the masters in the game who enjoy the sovereign rights over all three organs, the legislature, the executive and the judiciary that exercise people’s sovereign rights purely on trust. Give leadership to the people to be proactive and to take appropriate steps to deal with any organ found to be spineless in their duty of protecting, vindicating and enforcing the democratic rights of the people. Enough is enough, all anti-social politicos belongs to all major political parties, who have become bane to the society, and also other persons holding high profile offices in the Executive and the Judiciary, who are responsible for not performing their duty as required by law but abuse them to confer benefits and favours to corrupt shall be dealt with appropriately according to law for the misery the poor people faced with in the hand of those corrupt to the core. Where the SUN shines they seek a profession?? The rich always run the rich always win. Break their promises to the poor who vote for them. dependent upon his ability to pander to public opinion, a flaw which eventually leads to his downfall but survives since he spawned the powers. party loads it with race and more race and even more race- what a farce?? A werewolf leads the pack and wins. who have a say, like Prof. Tissa Vitharna, Vasudeva Nanayakkara and Prof. G.L. Peiris in it, may find a solution for the Tamil issue, based on a plan discussed by Neelan Thiruchelvam/GL.Peiris, at one stage during the war, under the leadership of CBK.,as President. Due to Ltte presence, the meetings were done secretly and many did not know that this was happening and just before finalising the deal, Neelan paid for it with his life in a terrorist attack for cooperating with the govt. Neelan was a constitutional expert and so was GL. Pieris. The deal would have been a good one for the Tamils but this was one of the many opportunities,the Tamils missed as Neelan would not have let the Tamils down.He was an understudy to the revered Tamil leader SJV.Chelva, his father was a minister in the govt. and comes from an educated family. He was a part time lecturer at the Harvard University, USA as well. it under the control of the armed forces. To do this TNA is not the problem but it is Wiggy, whom, he himself has claimed that ‘they’ want to eliminate him because he has guts and could be a worthy opponent. The Tamils are eager to have a change in the leadership now and it could happen anytime soon.